Having been on the receiving end of Request for Information (RFI) and Request for Proposal (RFP) responses, from an evaluation perspective there are ways respondents can make it easier for the evaluation panel to assess what it is being proposed and ultimately have greater success on getting through to the next round. These considerations are from my experiences with Software package selection and with Delivery partner selection, but should be applicable to many other selections. 1. First impressions count. Even before the RFI/RFP response is opened, an evaluator can be swayed by the presentation of the response and the level of engagement getting there. The idea of the hat is that a person will put on or be asked to put on a hat and to express a view from that perspective. This gets people thinking in different ways and since it is play-acting people are more willing to express views from under the security of the hat that otherwise may be left unsaid. I was wanting to export the contents and design of an OpenOffice.org Base database to SQL with the intent of migrating to MySQL. I struggled to find out how to do this, but finally found out how.To generate an SQL file that contains both the contents and the data of the database I used the following command from the “Tools –> SQL…” menu:SCRIPT 'C:\temp\file.sql'When I tried to write it to the C:\ root directory I got a security error, but using another directory worked fine.Thanks to http://www.oooforum.org/forum/viewtopic.phtml?t=32333 for pointing me in the right direction.Incidentally, on my way to the final solution I also came across the following command to generate a CSV file of a table’s contents:SELECT * INTO TEXT "output_csv_file_name" FROM "table_name"The version of OpenOffice I was using was OpenOffice.org 3.3.0 – OOO330m20 (Build:9567) and I running this on a Windows 7 machine. The Open Group Architecture Framework (TOGAF) is a framework - a detailed method and a set of supporting tools - for developing an enterprise architecture, developed by members of The Open Group Architecture Forum. 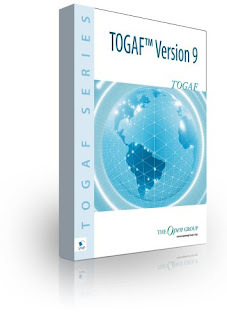 To say that the TOGAF 9 documentation is dry is an understatement. Some areas are lacking in depth and whilst TOGAF is a process framework I would like to see it evolve to have templates, document samples and checklists. There is however some good content and I will be referring back. I have uploaded a presentation outlining the key points from each session I attended at Webstock to Slideshare. Enjoy! Yet another excellent day of thought provoking presentations. Big thanks to the conference organisers, helpers and presenters for such an excellent event. For my notes from yesterday check out “WebStock 2011 - Conference day one”. The collaborative note taking effort was also in action again today at http://webstock.waveadept.com/ . Enterprise Architect that has escaped the ivory tower and drives pragmatic solutions. For my Food & Wine Blog check out https://sinnjoy.com . This blog is my personal opinion and does not reflect that of my employer.